Only the best will do when it comes to holding and showcasing the flags and medals that honor our country�s military. Our Military Flag and Medal Display Case - Shadow Box is made of finely crafted wood with an elegant cherry finish, a fitting tribute to those who have served our country so heroically. Only the best will do when it comes to holding and showcasing the flags and medals that honor our country�s military. Our Military Flag and Medal Display Case - Shadow Box is made of finely crafted wood with an elegant cherry finish, a fitting tribute to those who have served our country so heroically. The Military Flag and Medal Display Case - Shadow Box is perfect as an enduring gift for military servicemen and servicewomen and their families, no matter the branch of military. This case is perfect as a Navy display case, an Army display case, a marine Corps display case, a Coast Guard display case, or an Air Force display case. This Military shadow boxes is ideal for displaying medals, memorabilia, certificates and a flag. Our military shadow box is made in the U.S.A., and inside the military flag display case is room enough to hold a 3 ft x 5 ft folded flag (flag is sold separately, see our Cotton American Flags). The size of this case measures 19 inches wide x 20 inches tall. The document holder dimensions are 8 1/2 inches (top of display case to the top of the shadow box) x 15 1/2 inches (from side to side of the box). The Military shadow boxes medal display area is lined with rich, black felt, which brings out the optimal visual quality of the awards, whether the medals are silver, nickel, gold or brass. Set against this luxurious case interior, medals are presented in the finest fashion, as they should be. The shadow box adds to the impressive presentation, a professional and prestigious display that will draw attention of all those who pass by. 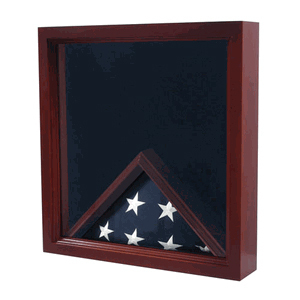 Honor that special military man or woman with this exquisite Military Flag and Medal Display Case - Shadow Box, which will maintain their flag and their medals for generations to come. We build our solid-wood Shadow Boxes or Display Cases by hand. 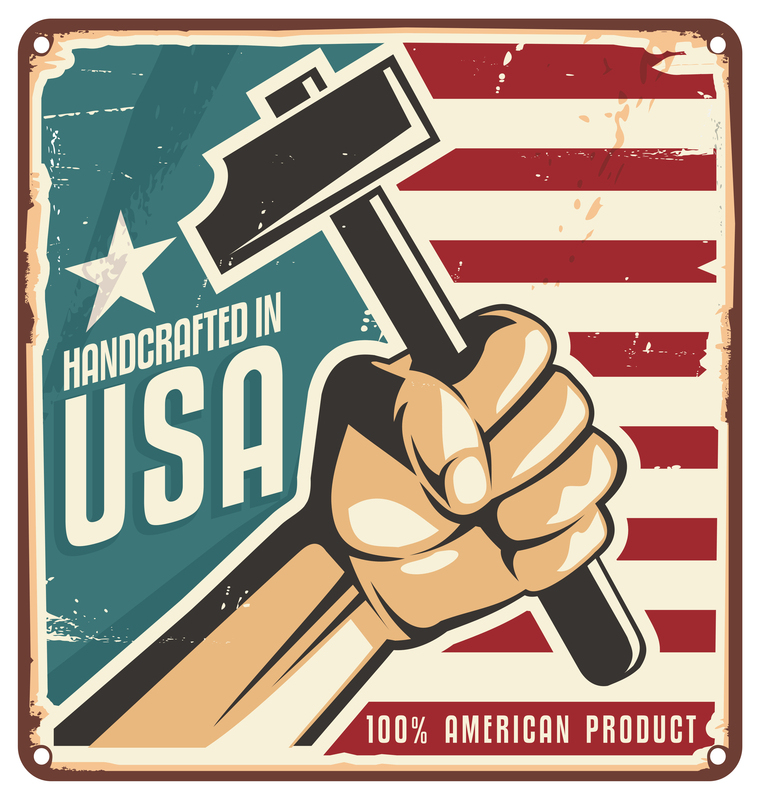 Made in the U.S.A., with all American components, and select hardwood and finished in a deep, rich cherry. We use glass in the viewing section, not plastic. The quality of our display case is unsurpassed; buy our display cases with confidence and pride, knowing they are hand made in the U.S.A.